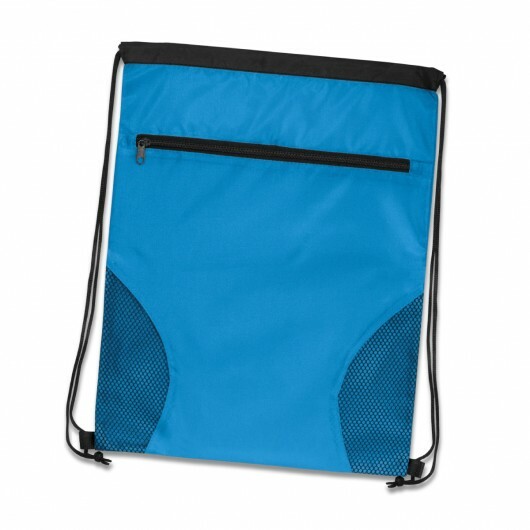 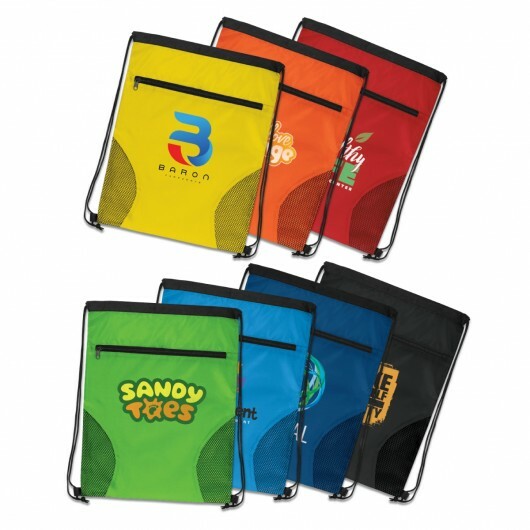 With an on trend style, eye-catching colours and a large print space these backsacks will work for your brand. These drawstring backpacks stand out with their decorative mesh and bright colours. They also have a large decoration space that's easily visible from a distance. The bags are made from 210D polyester with robust braided loops at the base to secure the drawstrings and host a large zippered external pocket. A great giveaway item for both kids and all ages.